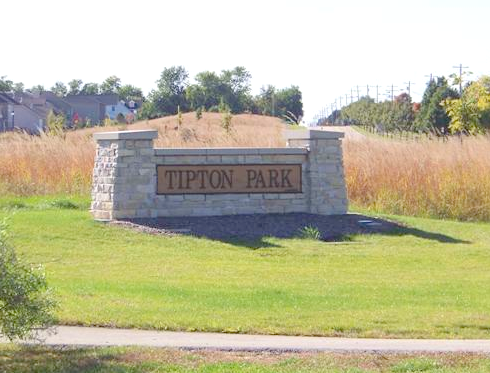 The Tipton Trails Subdivision is probably one of Bloomington’s most well-known subdivisions. Located between College Avenue and General Electric Road, near Airport Road. It has quick and convenient access to Veteran’s Parkway, Bloomington’s main access road through town. It’s just far enough off Veteran’s to provide the privacy and safety that is desired in any high end neighborhood. Homes in Tipton Trails Subdivision range from $279,000 up to $450,000. Some of the homes that are off the market are valued near $700,000! With values like this you can be confident that each neighbor maintains and takes care of their home. Homes in Tipton Trails have stunning features including hardwood floors, eat in kitchens, master suites, finished basements, open floor plans, vaulted ceilings, fire places and much much more. 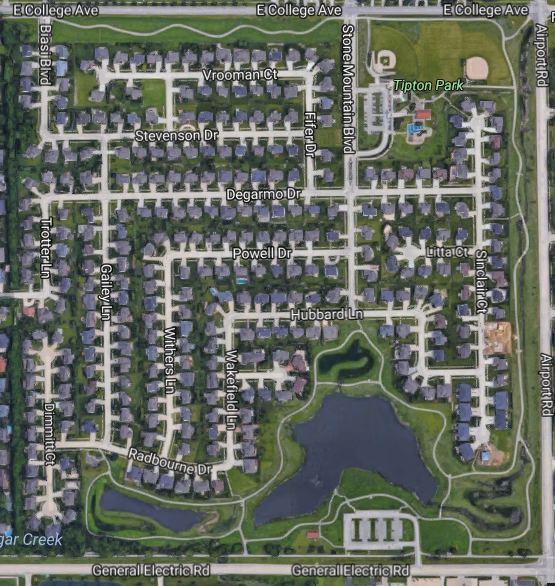 The children in this neighborhood will attend Northpoint Elementary, Kingsley Jr High and Normal Community High School. All three of these schools are rated 8 or higher for their quality out of a scale of 10. If your price range includes homes in this subdivision, this area is an absolute must see! Aside from the beautiful lots and homes, the subdivision offers a park at the corner of Airport Road and College Avenue. You can find a playground, pond and a water park area for children! The Tipton Spray Park is located on the north end of the park at 2201 Stone Mountain Blvd. The Spray Park is a great summer destination for any family. It is open mid May through mid September and the hours of operation are 10:00 AM until 7:00 PM seven days a week. Tipton Park hosts family friendly events throughout the year including picnics, Easter egg hunts, fundraisers, and many 5K races on the trail. 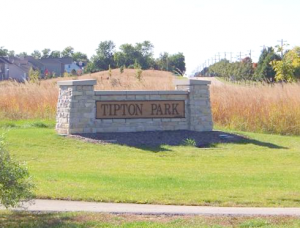 The running trail through Tipton Park and behind the subdivision offers runners, walkers and bikers breathtaking views of the sunrise and sunset through tall grass and wild flowers. It’s easy to be motivated to get out by yourself or with your family with scenery like that! If you prefer exercising indoors, Four Seasons II Fitness Club is so close to the subdivision that it’s accessible by walking. Four Seasons II offers cardio equipment, state of the art strength training and free classes for members. They can be reached at (309) 661-8611. Please consider viewing some of the spectacular homes in the Tipton Trails subdivision! The agents here at BN Realty are anxious to show off all that the area has to offer and we are positive that we can find something that interests most any buyer. Let us set up a showing for you today!